There have been some murmurs among the Call Of Duty community about the possibility of the new game being set in space—and people were not happy about it. 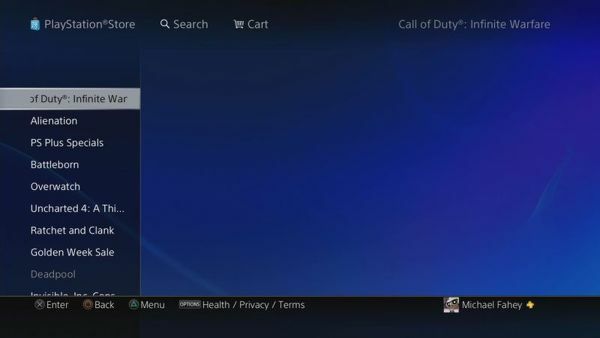 But now, a recent leak may have just unveiled what Infinity Ward plans on titling the newest installation in the Call Of Duty franchise. While the information hasn’t been confirmed yet by Infinity Ward, it is still a solid lead into what we can expect the new Call Of Duty game to be titled. Just last month, it was reported that the new Call Of Duty game could be set in in the far future, somewhere in space. If the leaked title is, for sure, the actual title of the newest installment to the series, then the “space” setting seems more likely. If there’s anything in our universe that is “infinite,” it’s outer space. But again, there hasn’t been any confirmation of a space setting or the title from Activision. Previous Call Of Duty games have been set in the near future, but nothing as far as actually having to battle in space. Many have expressed mixed reactions to the news with the majority of players not very happy. While others seemed to have gritted their teeth and accepted the news. Infinite Warfare, Space Warfare, Toy Warfare, it doesn't matter, you're buying the next Call Of Duty anyways. Shut up, please. I can understand why players are so upset about a space setting in the new Call Of Duty game. Call Of Duty has always had this feel to it, like a comfortable feeling of knowing what you’re getting yourself into. It’s familiar. But if Infinity Ward and Activision traverse into the great black nothingness of space, then suddenly Call Of Duty becomes this whole other game, competing with outer space games like Destiny. And it no longer feels like that game you once knew and loved. I’ve been looking around at the forums and the social media comments and people are just so upset by the fact it could be in space, understandably so. Call Of Duty: Ghosts got mixed reviews, but I fear if this game is set in space, it could be the end of the Call Of Duty franchise. But that’s all opinionated psychobabble, so all we can do is wait and see.